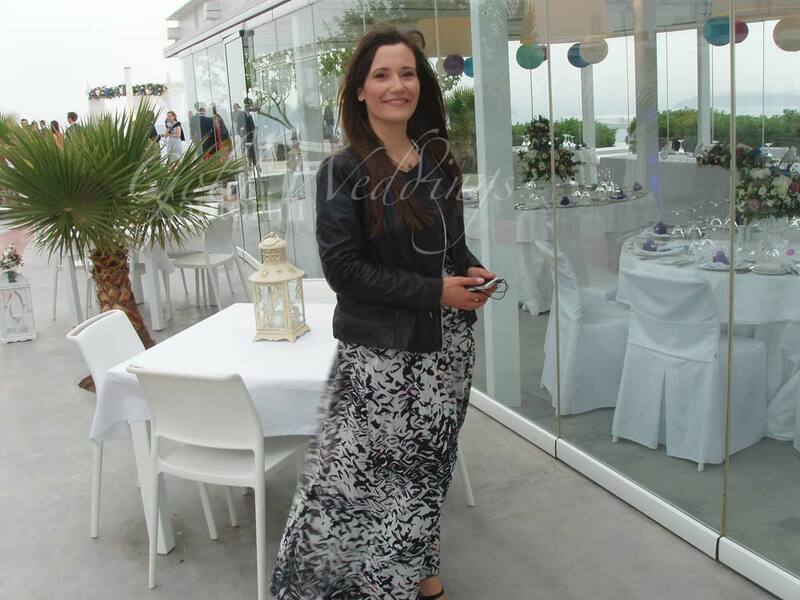 I’m Alexandra Kritikou-Chalmpe, an awarded , registered wedding consultant in Santorini, married, mother of 2 wonderful sons. After finishing my studies in the University of Athens and having had many years of experience in Public Relations and Marketing, I organized plenty of weddings and events (parties, proposals, anniversaries, christennings) , with great success,due to hard work, experience and professionalism. Since my mother-in-law retired, I took her place(that of the Executive Wedding Consultant), fulfilling our brides’ dreams to the most important day of their life! My team and I are ready to offer our services, putting our heart and soul, in order to make Your Wedding in Santorini unforgettable! We love what we do, not considering it as “work”, and that’s why every event that we create is unique! We expertise in tailor-made packages so kindly contact us to get your personal offer. Νavigate in our website and learn everything about Santorini weddings!